If you don't know what Cinco de Mayo costume to wear in your next Cinco de Mayo party, keep reading because we have a few suggestions. 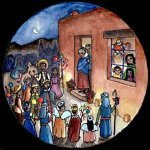 Click Cinco de Mayo for a history lesson. You don't have to make this a complicated decision... You can use Mexican accessories like a sarape or rebozo and a hat with a white shirt and cotton wide Mexican skirt. These dresses from the different regions of Mexico are a work of art. Each state has one or more typical dress styles that can be very sophisticated in some cases. The locals from the regions wear their regional dress in special festivities or other cultural events. The state of Oaxaca has a tradition during the month of July called Guelaguetza (also called Los Lunes del Cerro or Monday's Hill) where 8 different regions in the state come to the capital city to celebrate their traditions with dances, food and of course their typical clothing. 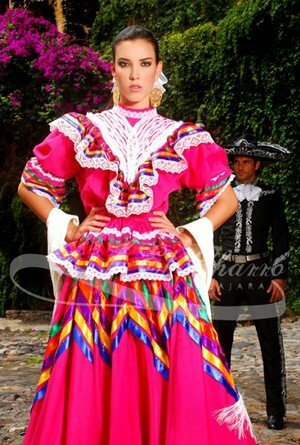 The Jalisco typical dress shown in this section is a derivation of the escaramuza dress used in charreadas which is a Mexican style rodeo. This dress is a unique creation specially for Cinco de Mayo. 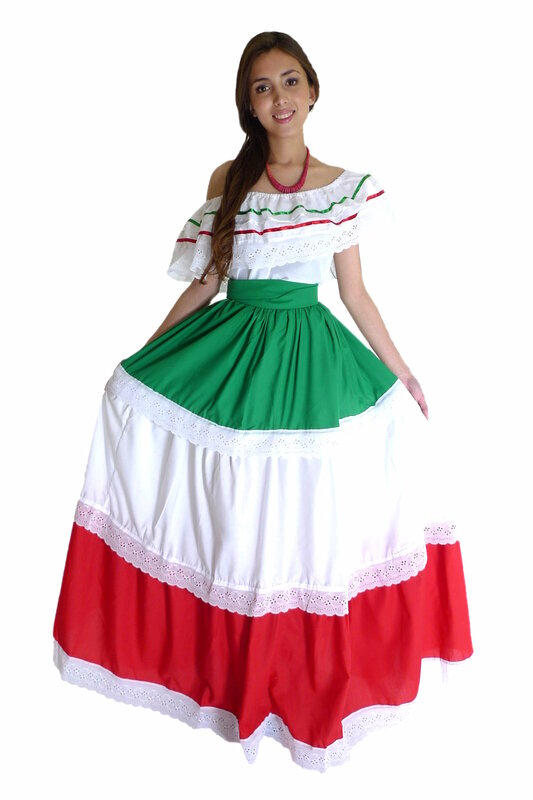 It is style similar as the Jalisco dress with the colors of the Mexican flag in the skirt and the same colorful ribbons in the blouse. Another options is a traditional embroidered blouse or dress with white or black pants or even jeans. 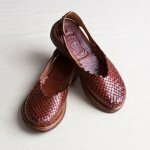 You can combine this with a modern purse, and high heels to make a perfect combination of style and tradition. Your outfit will be original, modern and with a Mexican touch. You can find embroidered blouses and dresses in our store. 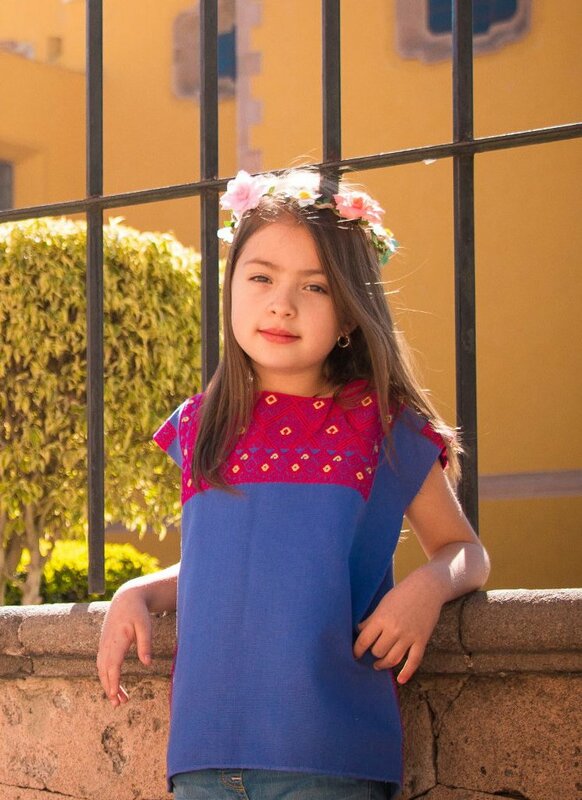 Here are some embroidered Mexican blouses and Mexican dresses we have on sale. And also, here are other Cinco de Mayo costumes ideas. Without doubt, the Fifth of May is today a party to enjoy and share Mexican culture.